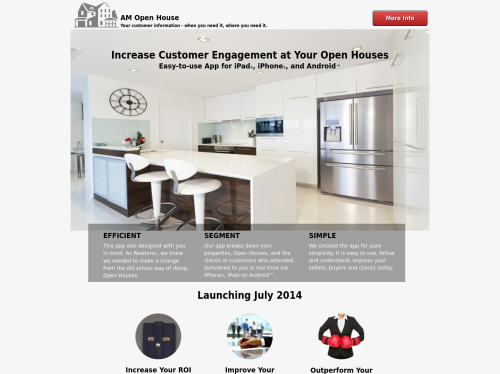 AM Open House is the most efficient Open House iPhone®, iPad® and Android™ app for agents, buyers, investors and sellers. This app uses a simple interface that keeps track of your properties, consumer and broker Open Houses while allowing customers to easily sign in and sign out. Want to share your Open House on Facebook or Twitter? AM Open House does that too. With an Android™ device, you can also share your information on Google . This app eliminates the need for you to follow up after your Open House as it sends a customized email from you personally to your customers. This e-mail thanks your customers for coming to your Open House and gives them your information in case they have any other questions or want to place an offer. For more information visit us at www.AMOpenHouse.com.